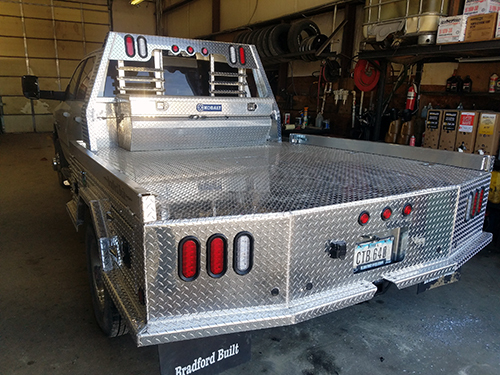 If you use your truck for a truck, then you'll appreciate all the standard features on a Bradford Built truck bed - things like 1/8" thick tread plate floor, a 30,000 lb. 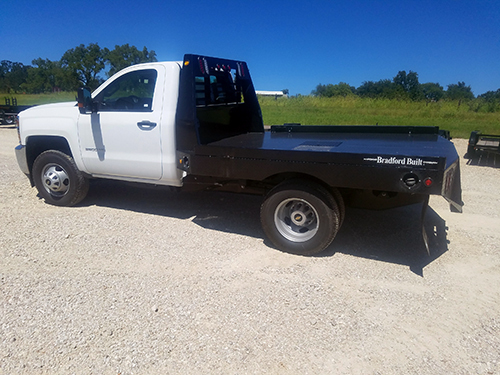 rated gooseneck hitch, an incredibly strong receiver type bumper hitch. 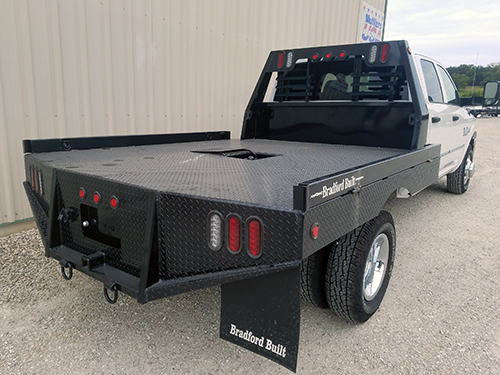 With the 4" tall flip-up side rails, you won't be back-tracking looking for your chains or spare tire. Flush-mounted D-rings in the side rails and stake pockets in the deck make it easy to secure any load. 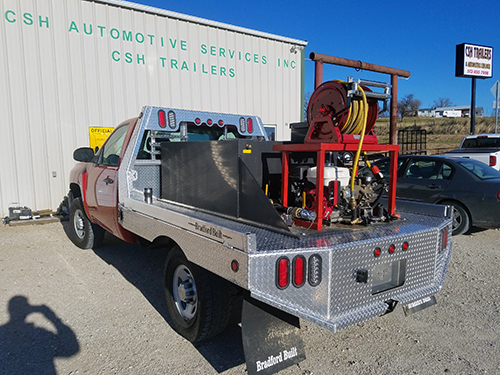 CSH Trailers & Automotive Services in Westphalia, Missouri, sells, installs, customizes and repairs truck beds to fit your individual needs. Look around, kick tires, check prices. If you don't settle on Bradford Built hands down, then call us and tell us why. Bradford's goal is simple. Build the very best truck bed for the money.